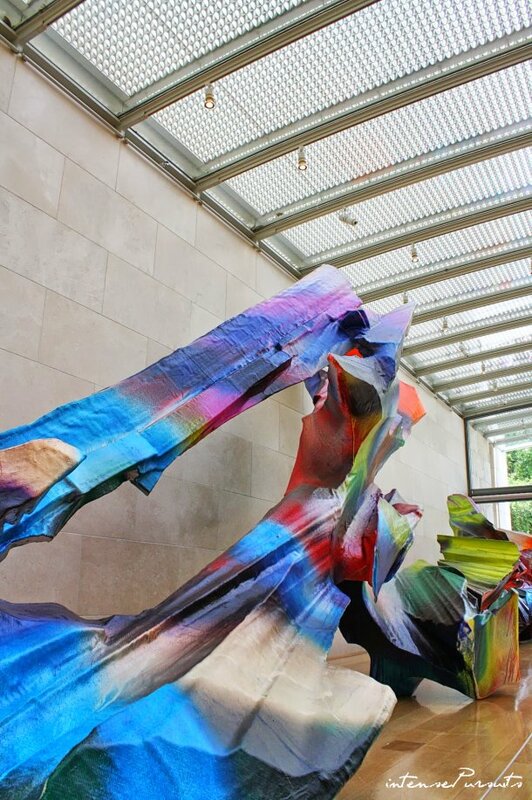 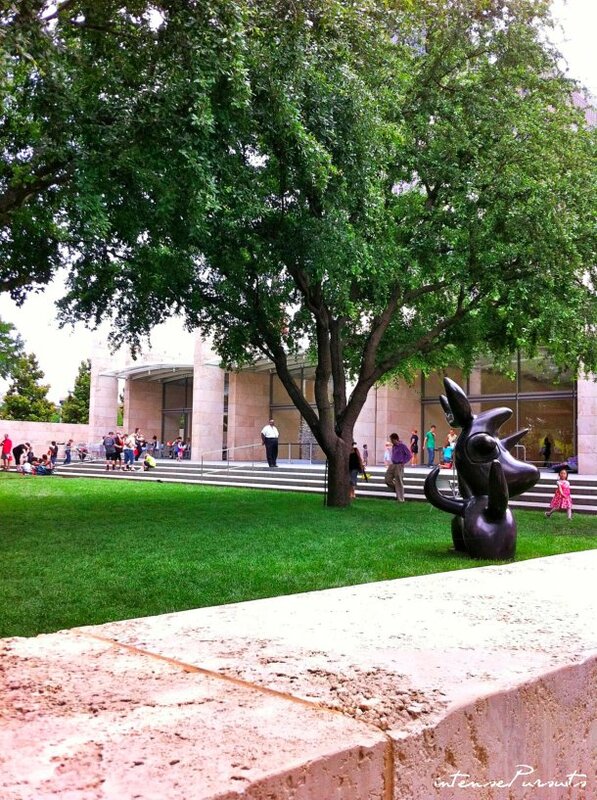 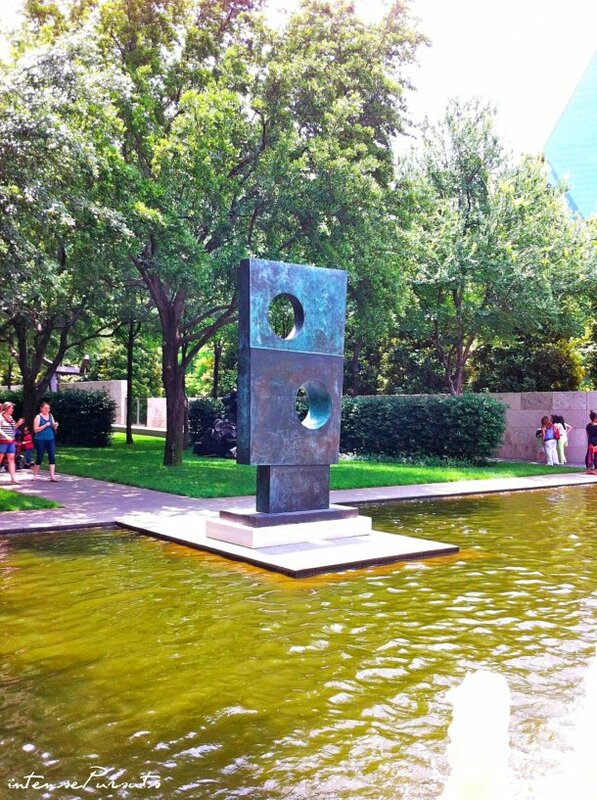 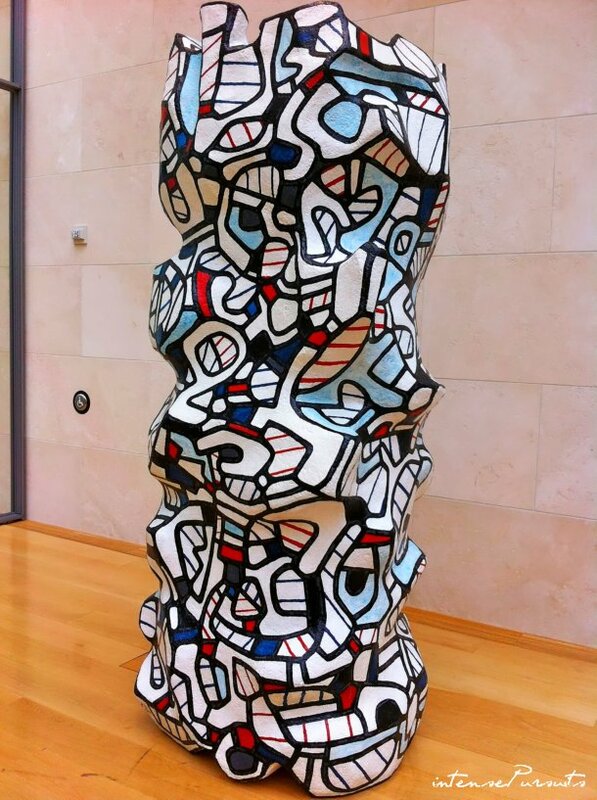 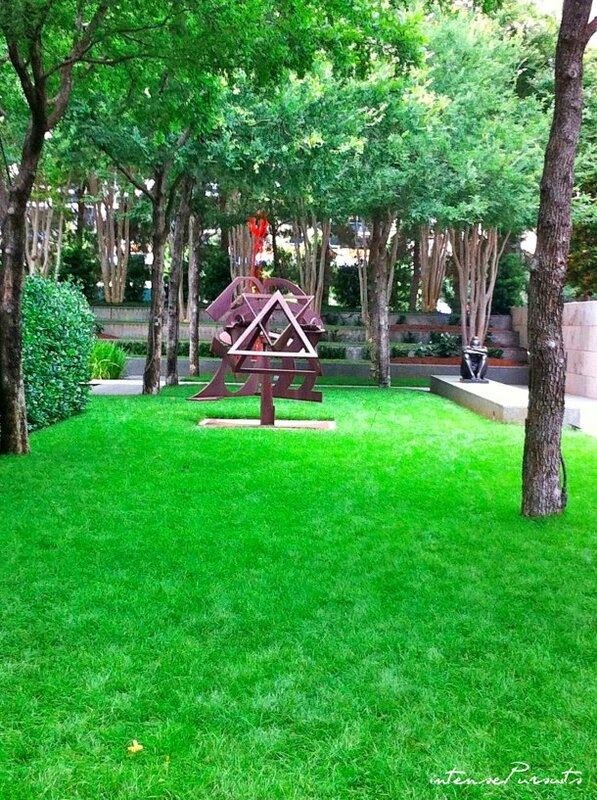 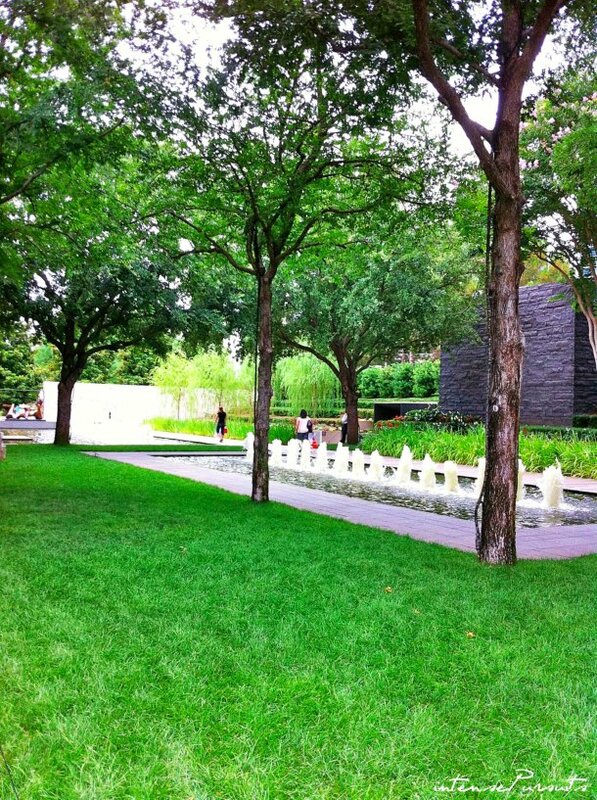 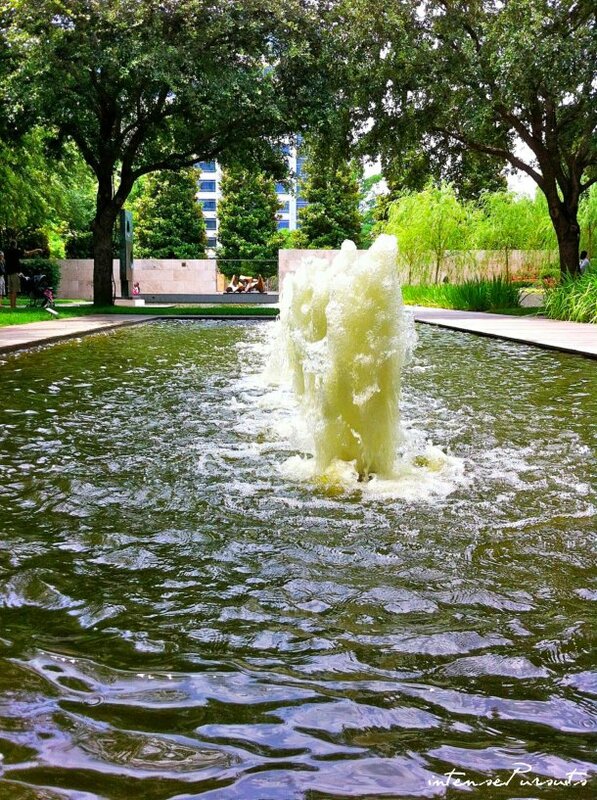 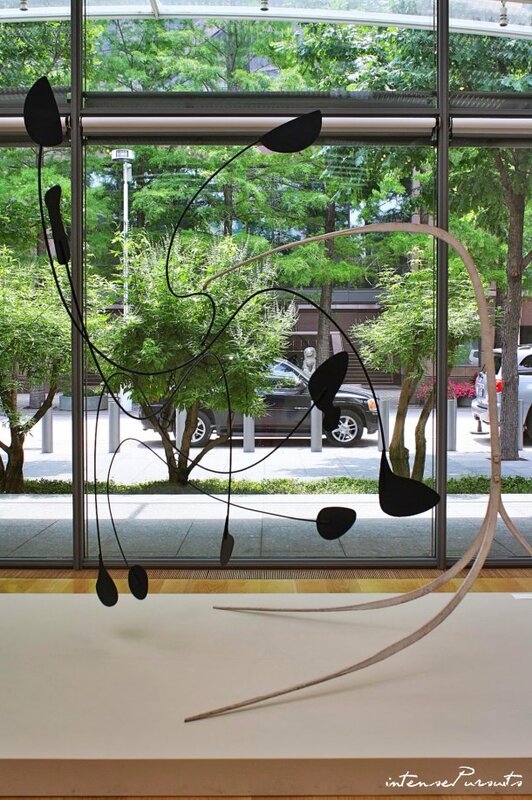 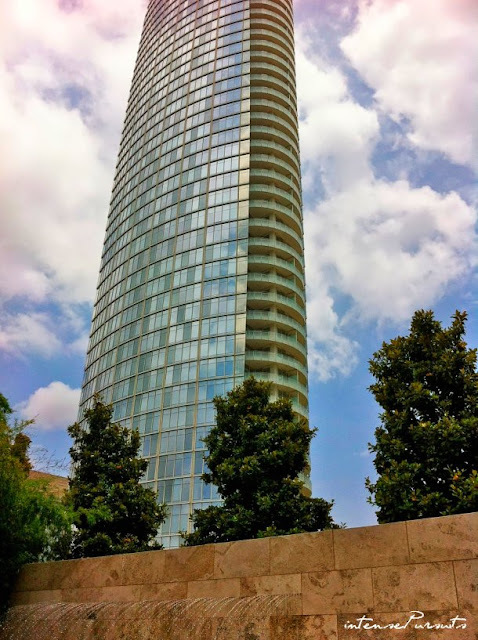 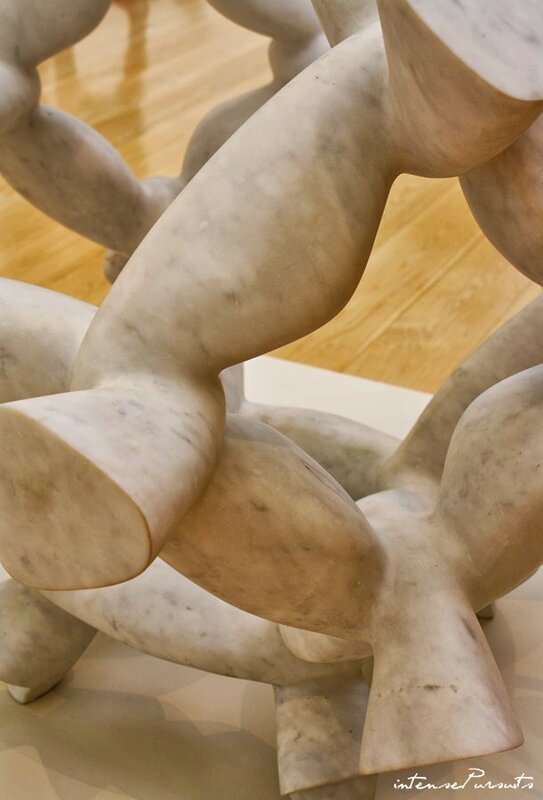 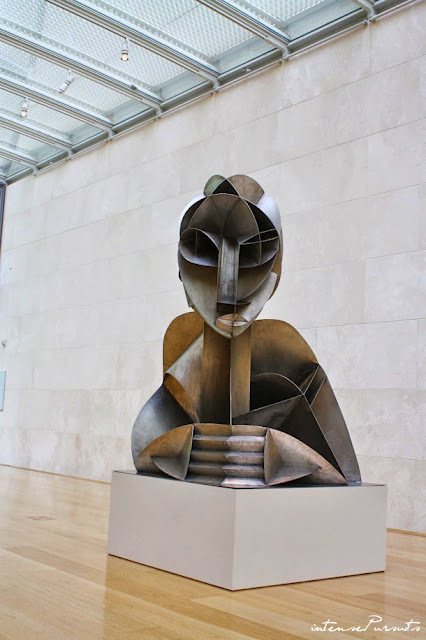 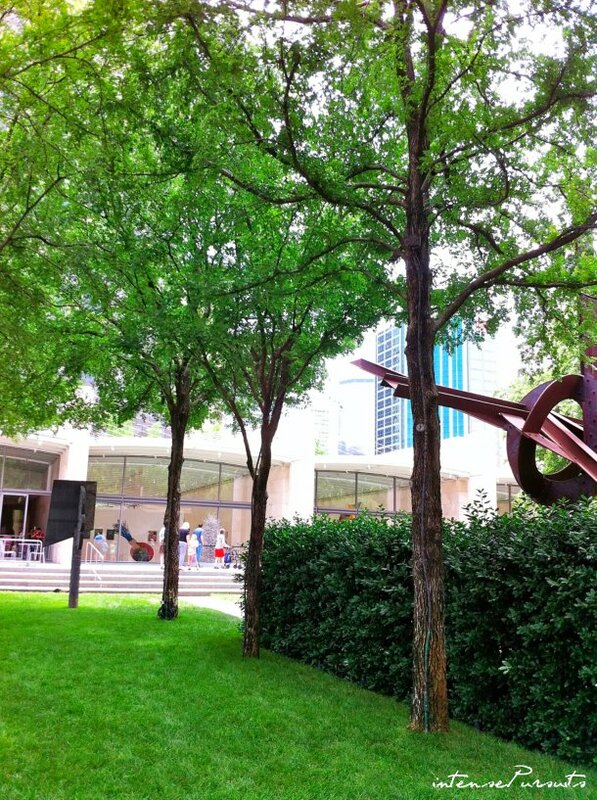 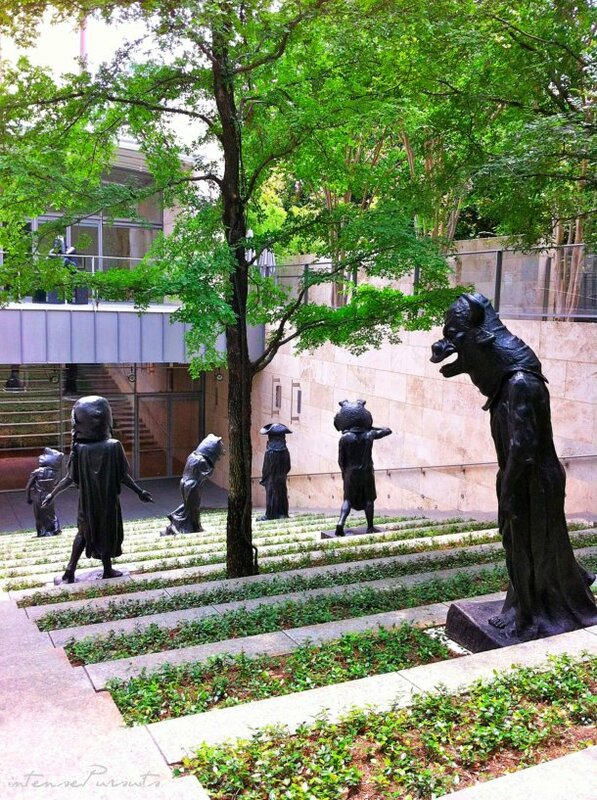 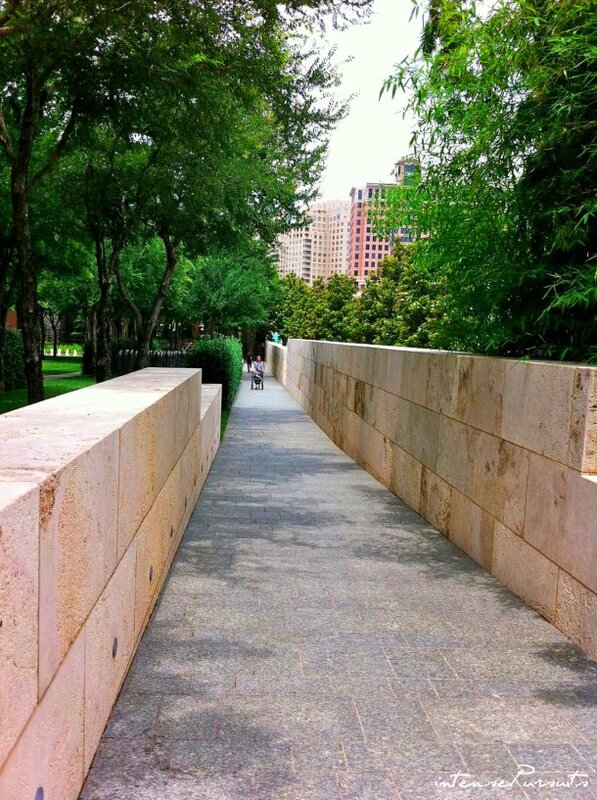 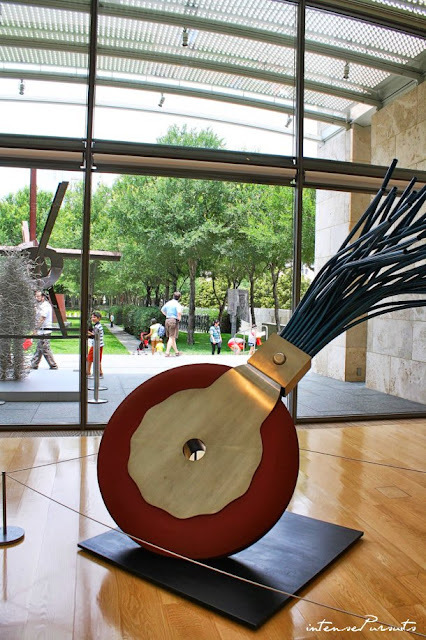 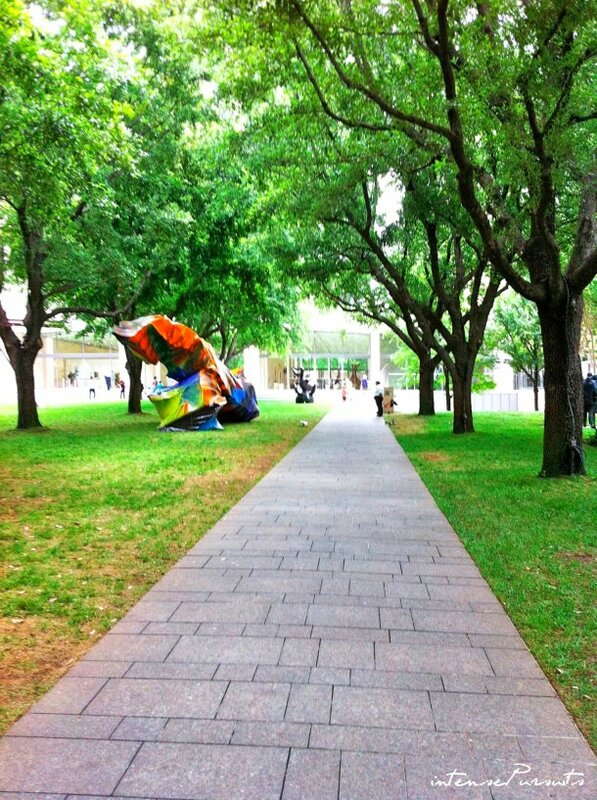 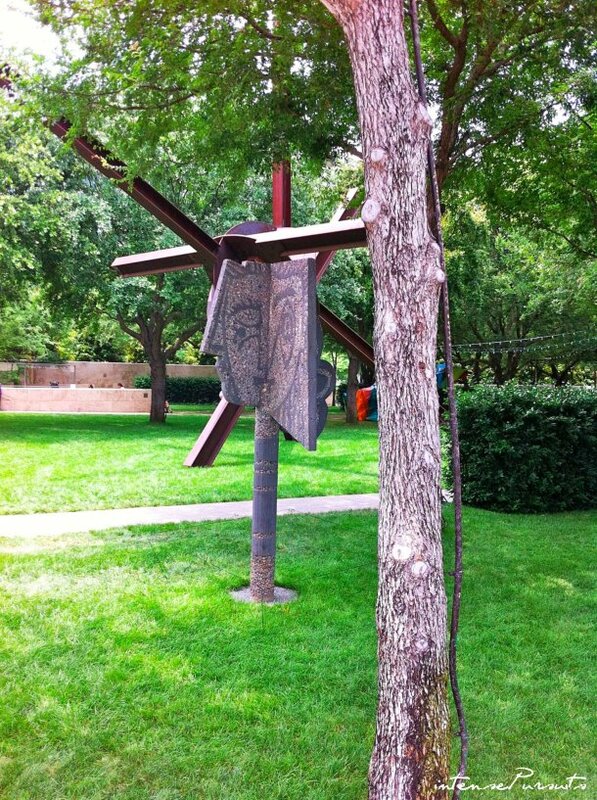 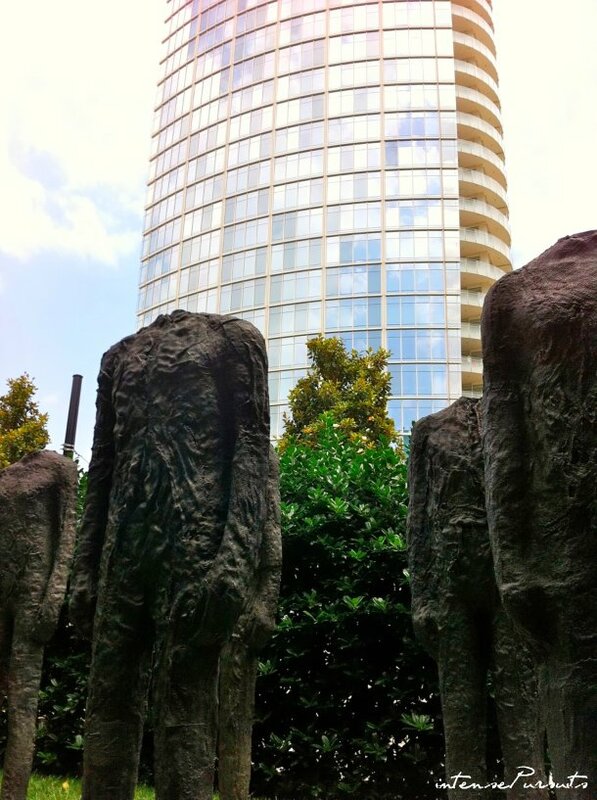 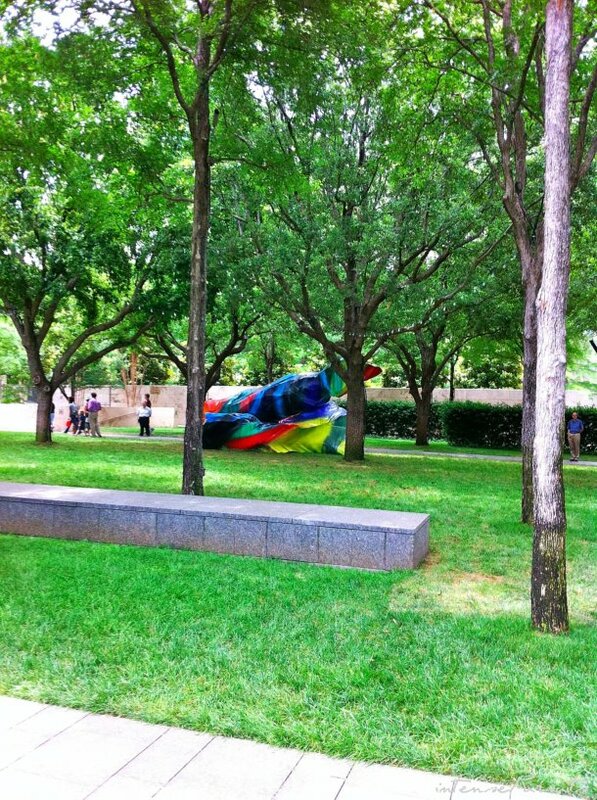 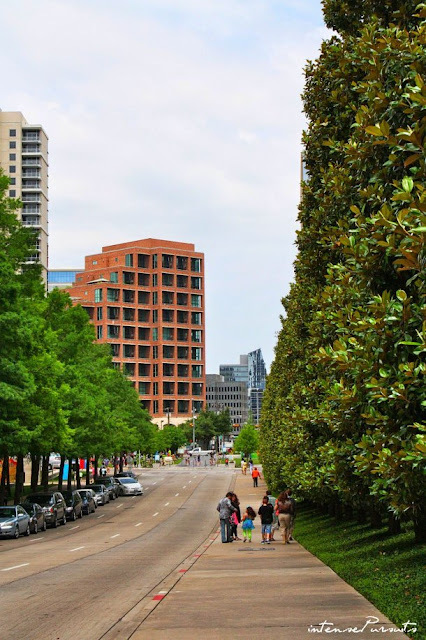 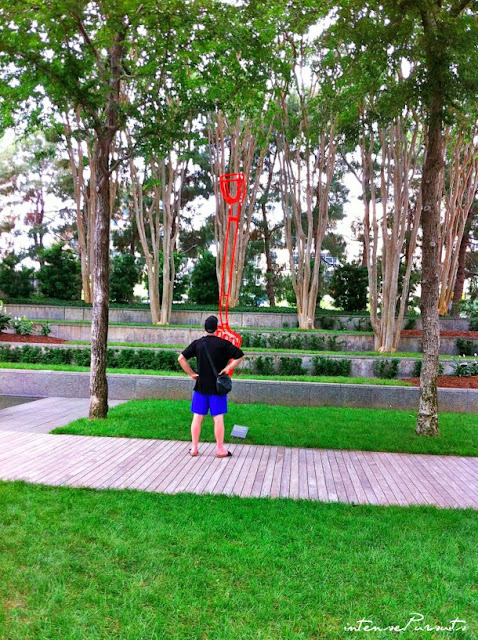 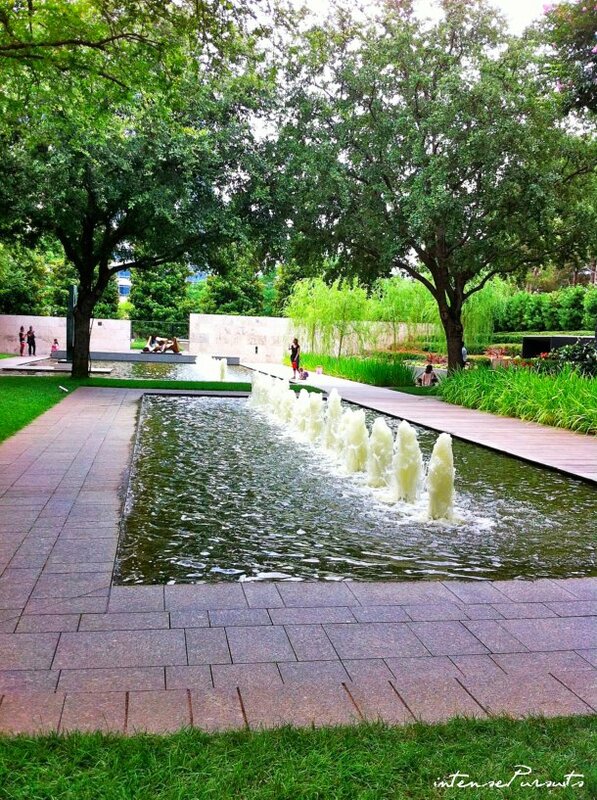 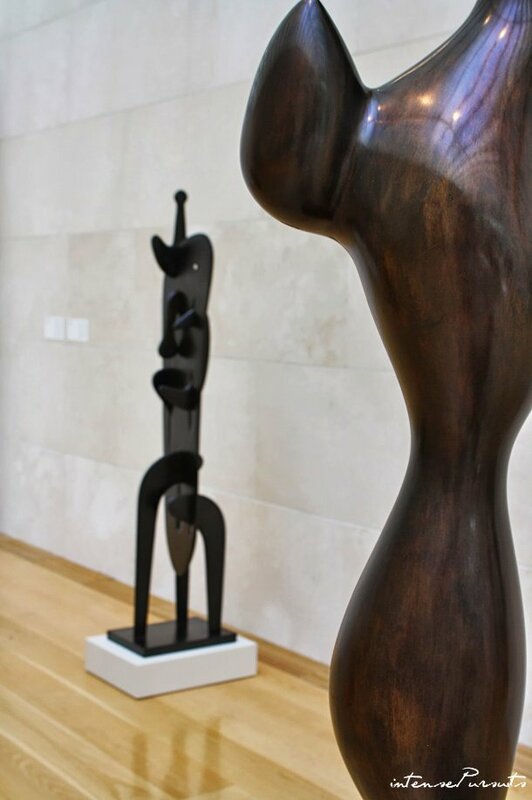 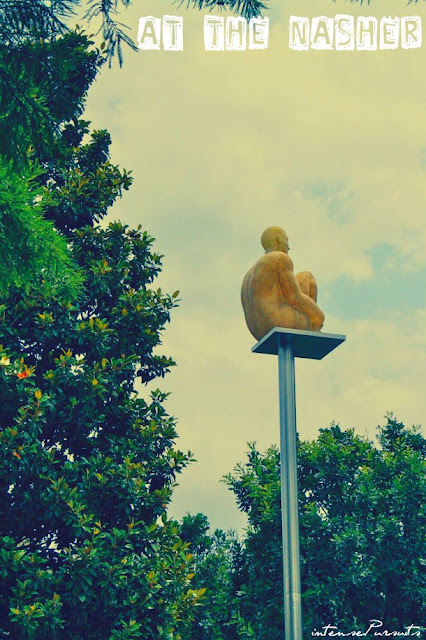 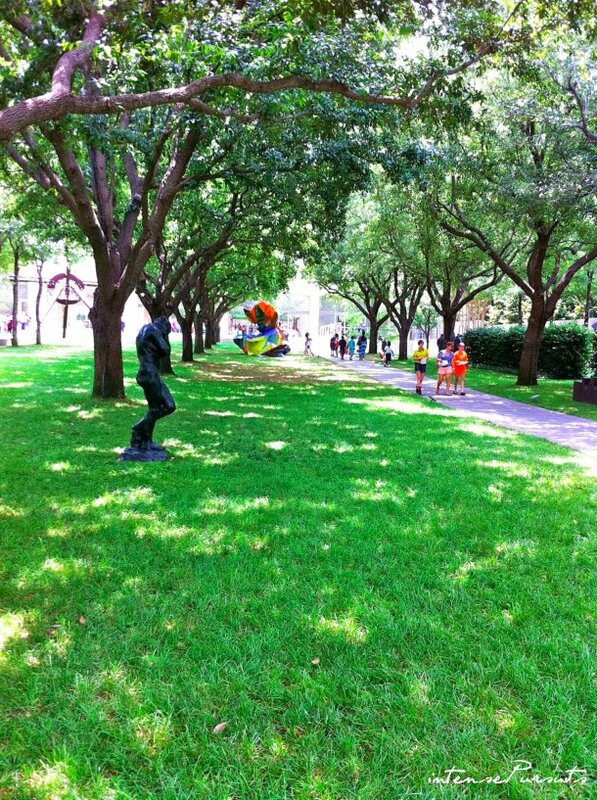 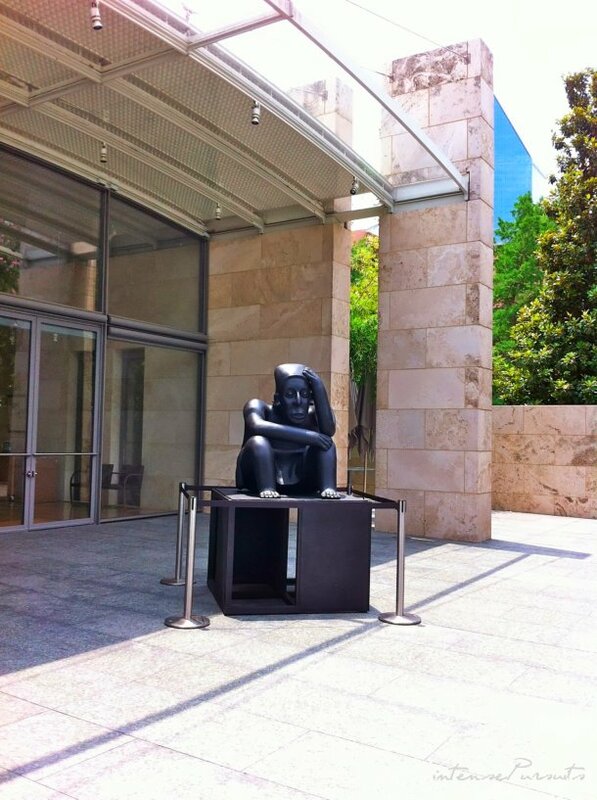 Adjacent to the DMA and the new urban park the Nasher Sculpture Center sits in the heart of Dallas Arts District. 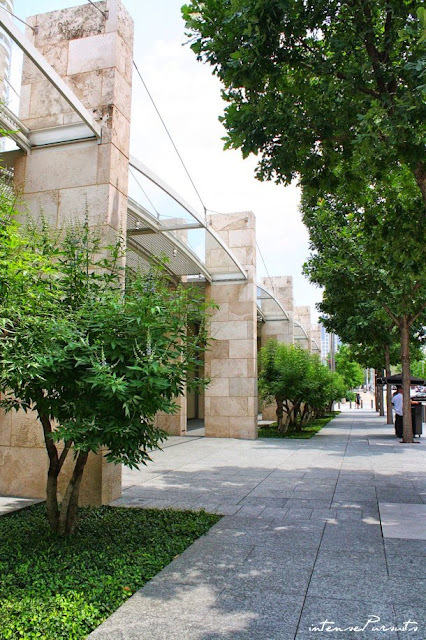 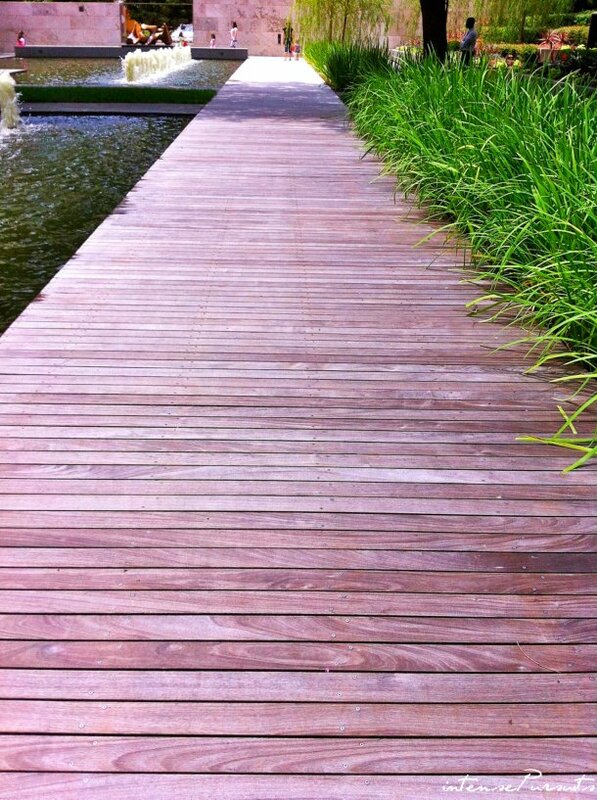 Renowned architect Renzo Piano is the building architect and Peter Walker is the architect of the 2 acre garden. 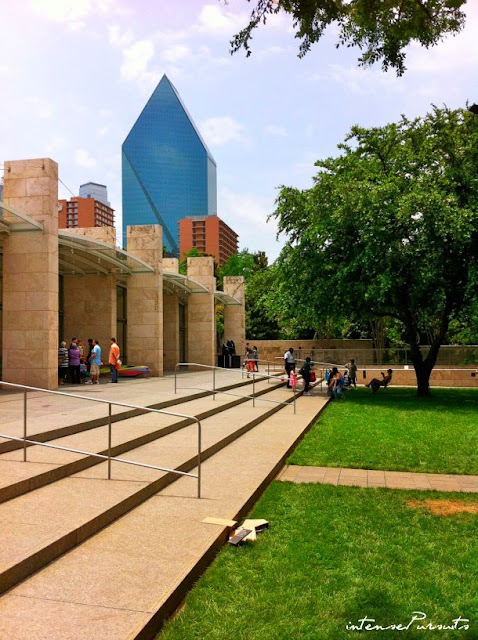 Opened in 2003, the structure is made of parallel stonewalls which create the gallery pavilions. 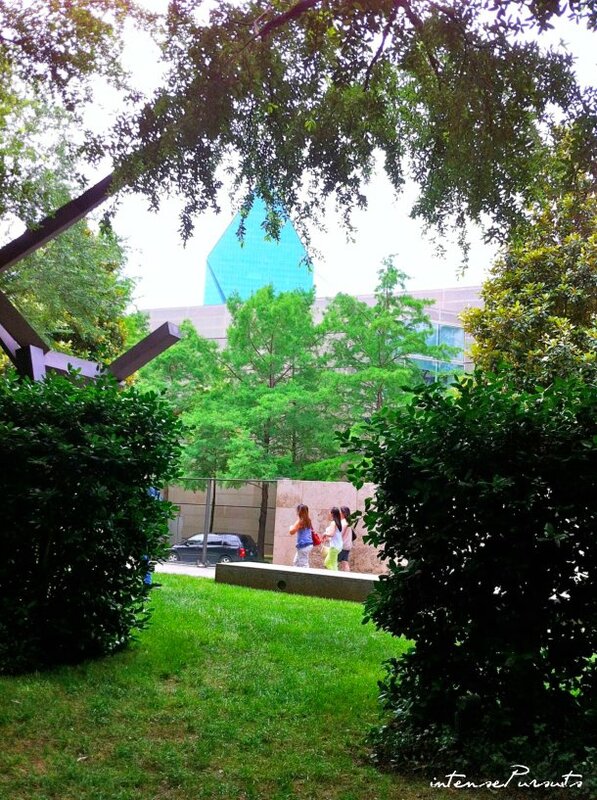 These pavilions are closed off at the other ends by glass facades and roofs and therefore the view through the museum and the garden is unobstructed from the street. 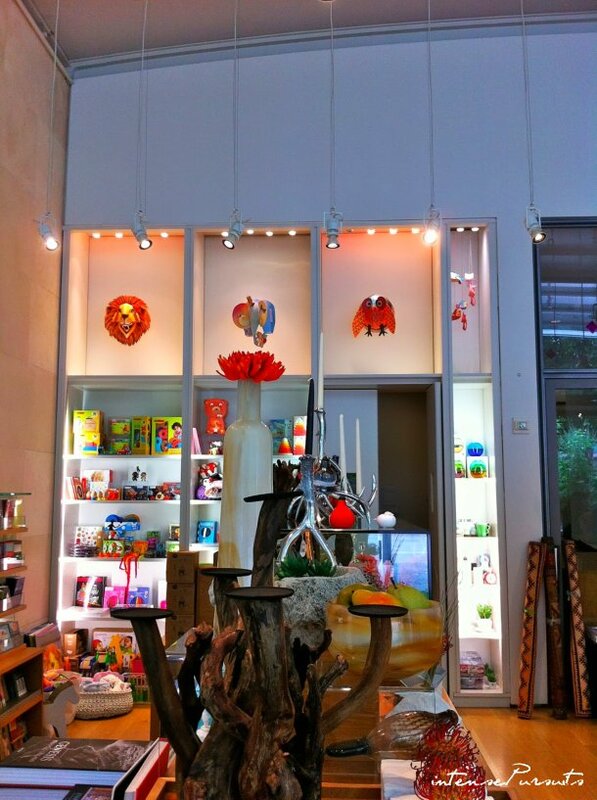 The highlight of the museum is it's roof structure that deals with letting in natural light beautifully. 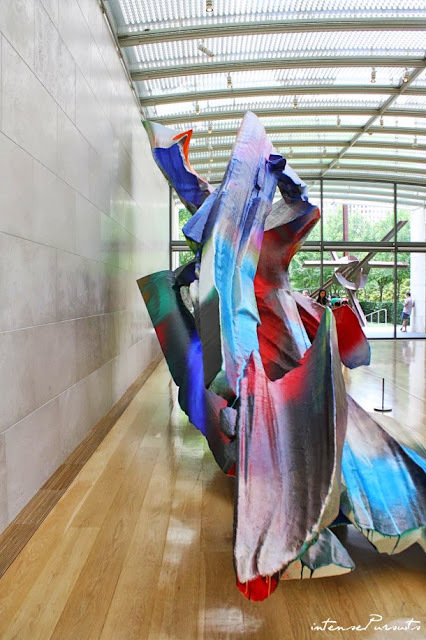 For those who are not learned in architecture, it is imperative that natural light flows into the galleries without any glare or heat to the art. Piano designed an arched glass roof with a perforated aluminum screen in an egg-crate pattern [noted in images inside this post] which directs the sunlight in an angle into the galleries. 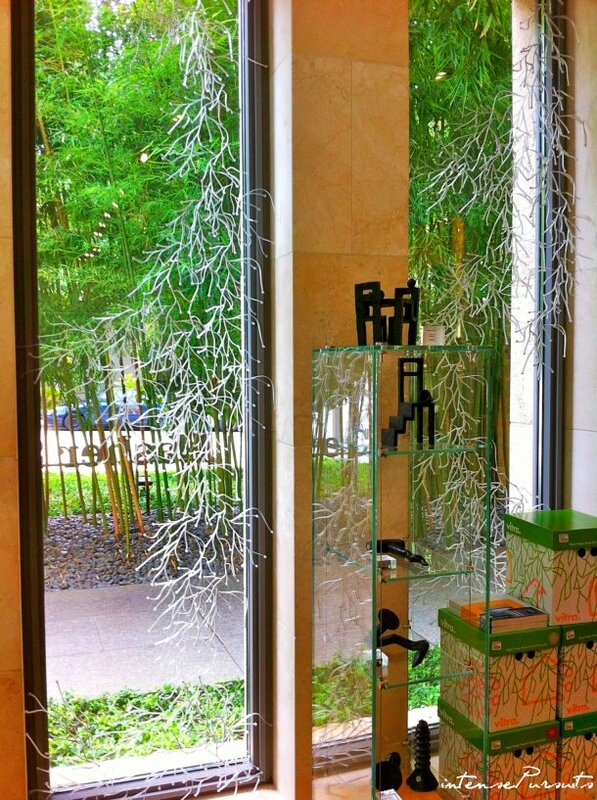 Bamboo trees guard the nameplate of the museum. 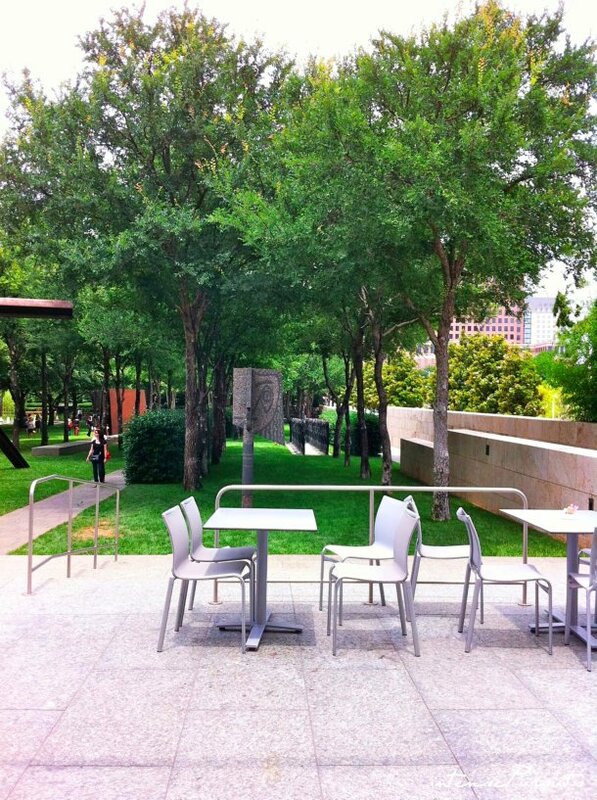 View towards Klyde Warren park.....you will see a post about it soon. 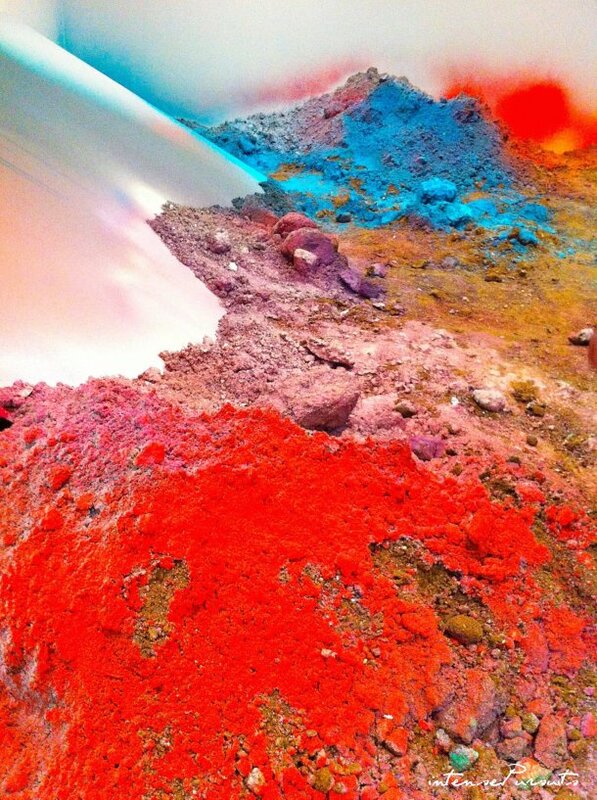 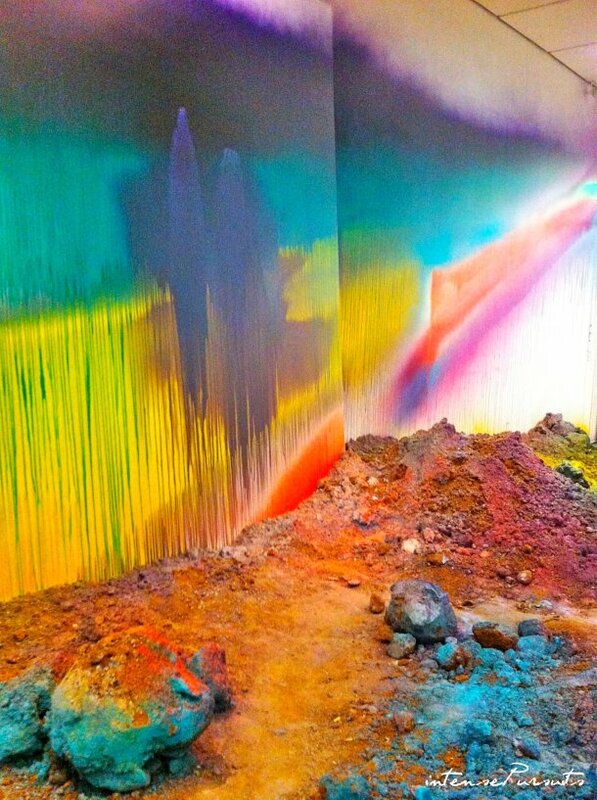 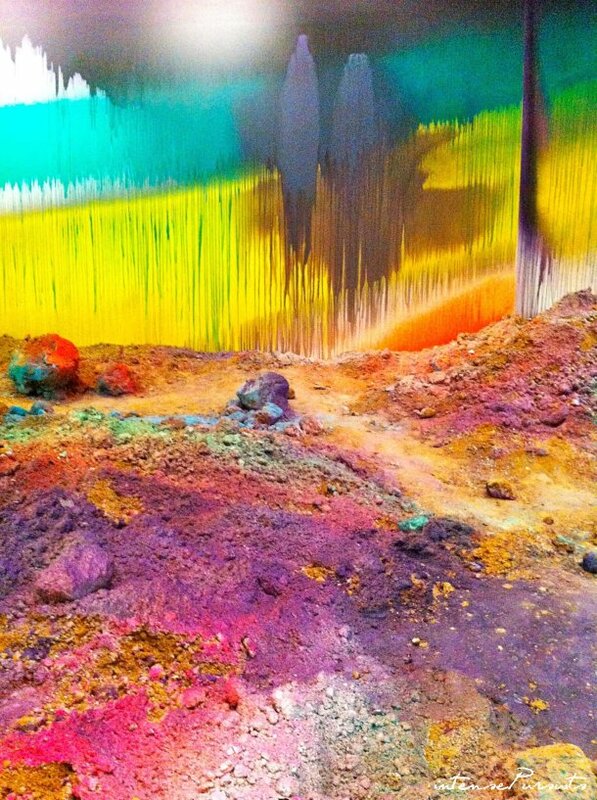 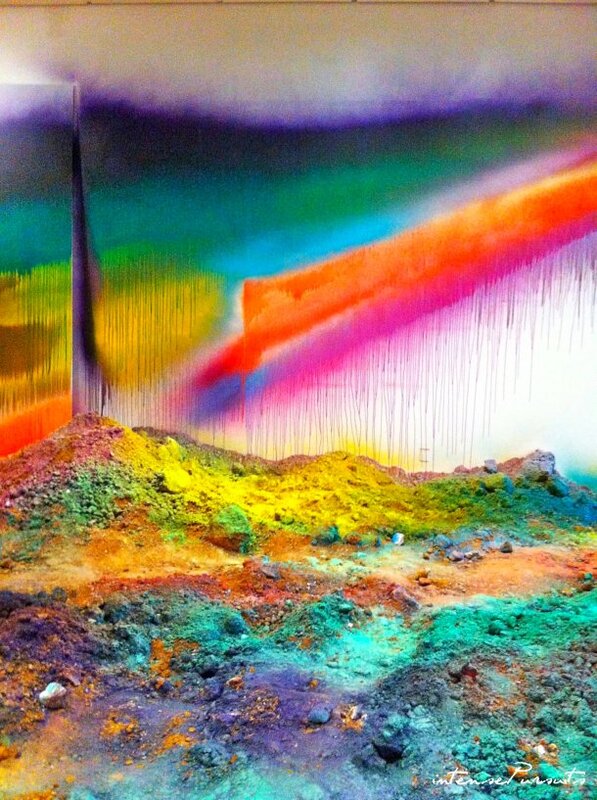 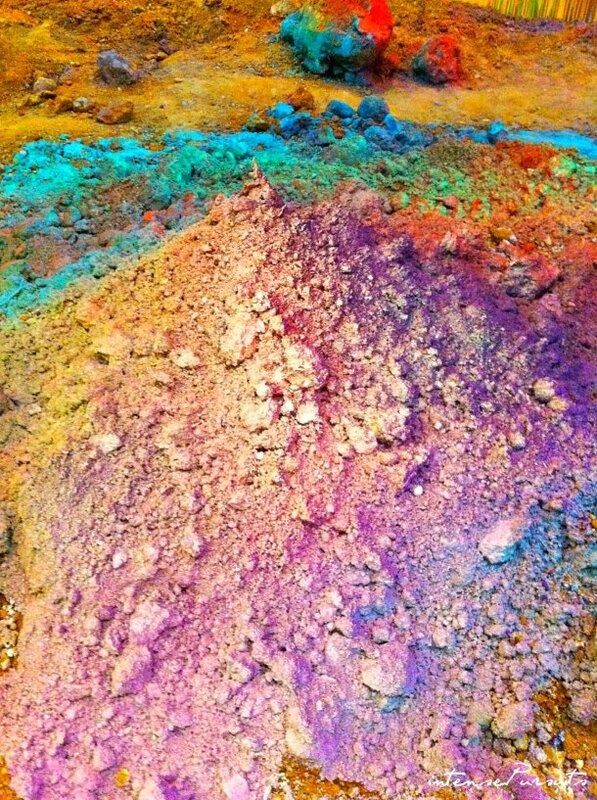 The museum is currently showcasing Katharina Grosse's Wunderblock - all the wonderfully saturated pieces. 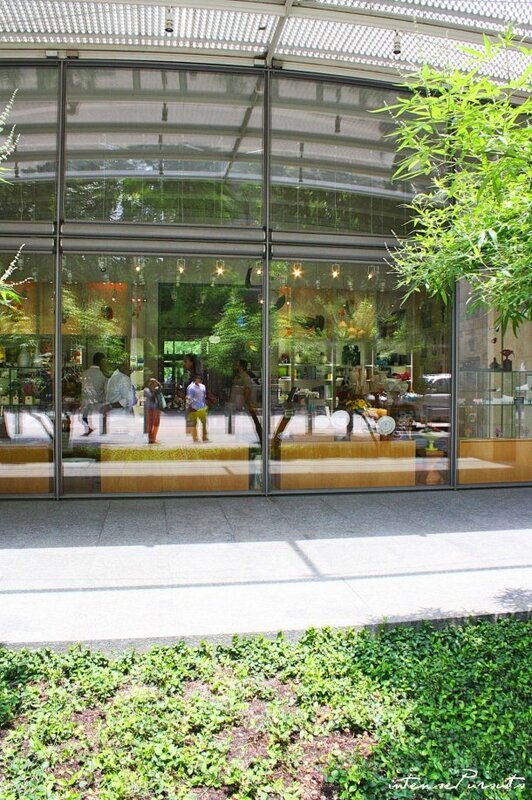 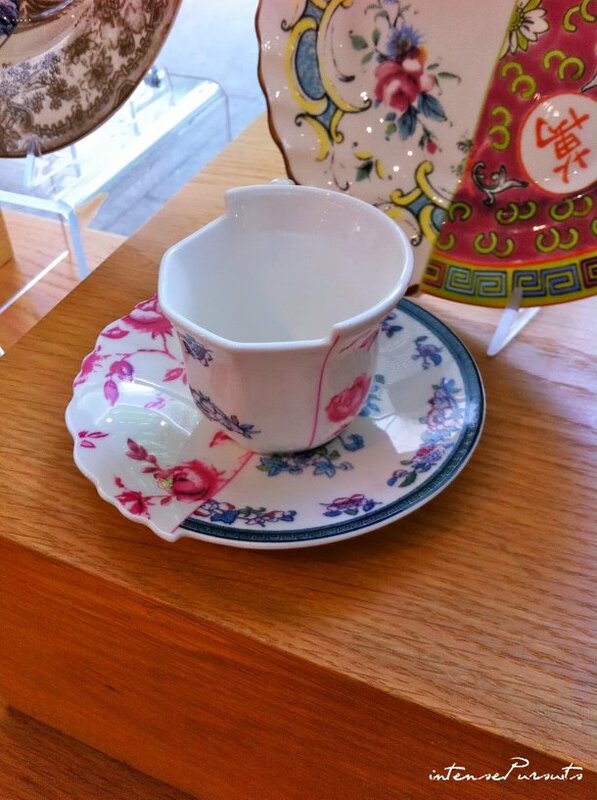 Notice the detail of indoor versus outdoor. Notice the roof structure here [egg-crate perforation]. 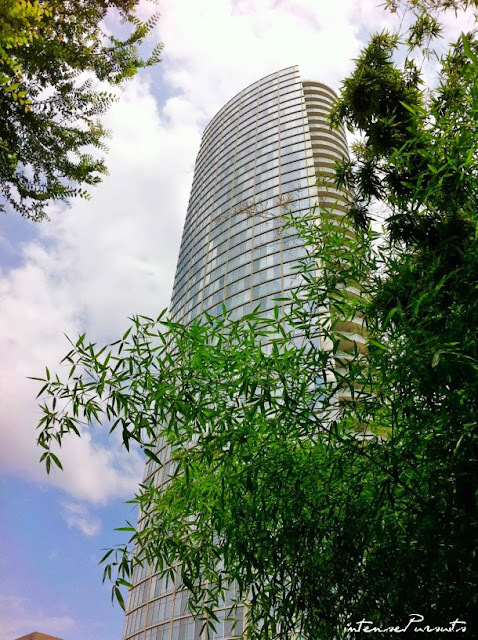 From inside the garden you will find spectacular views of the surrounding skyscrapers. 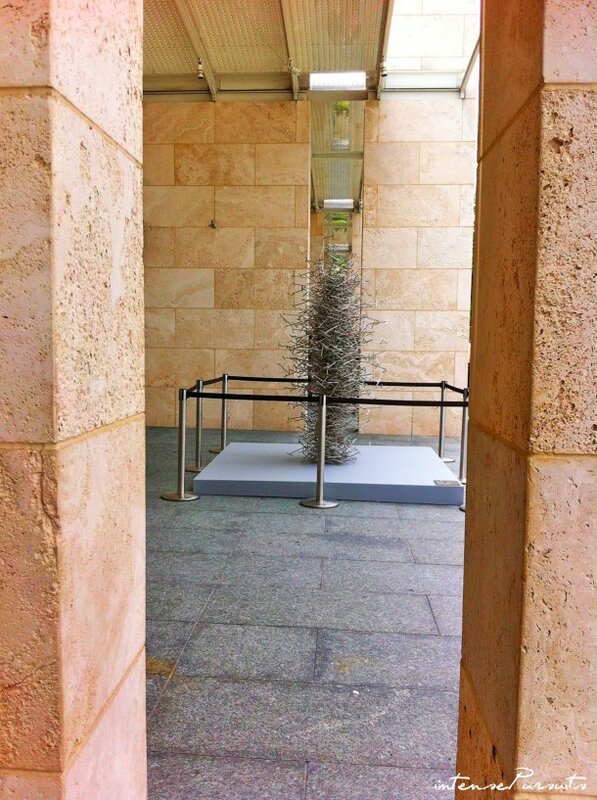 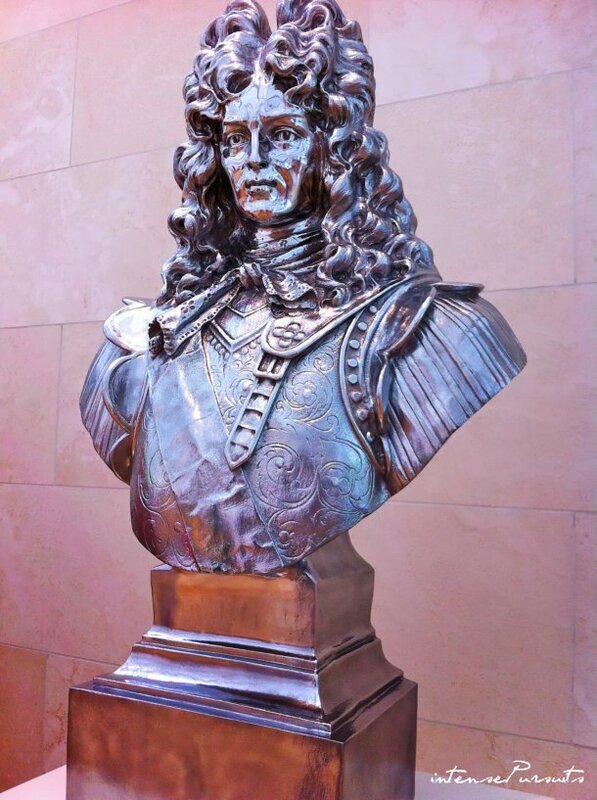 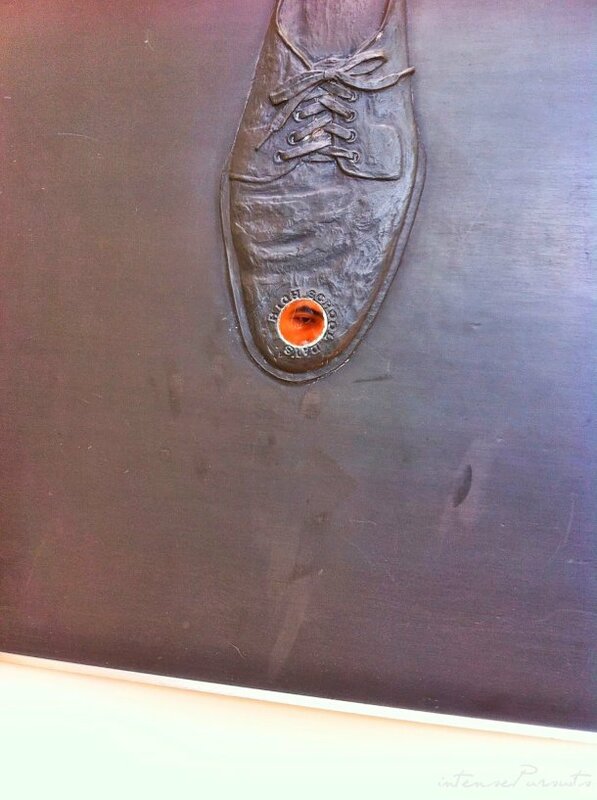 However, the Museum Tower's [here] high glare over the galleries is affecting the art work inside. 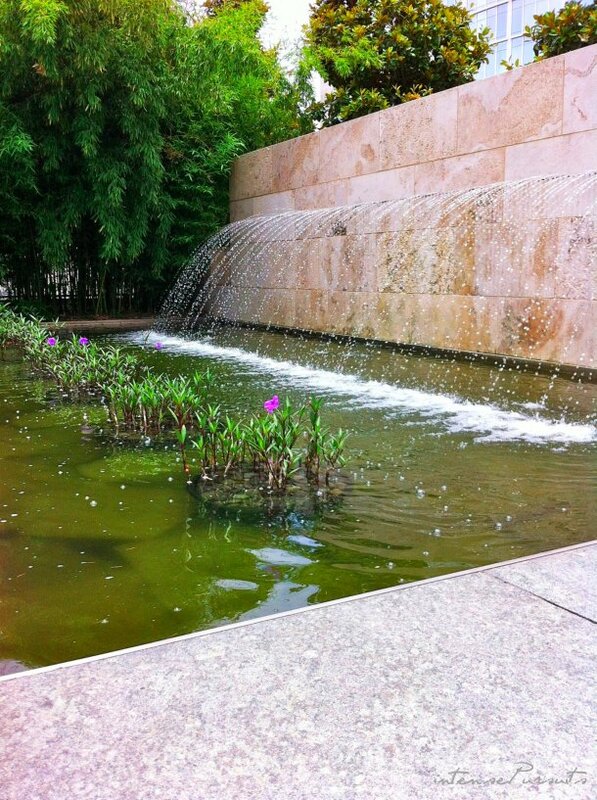 I. M. Pei's Fountain Place can be seen from all angles of the garden. 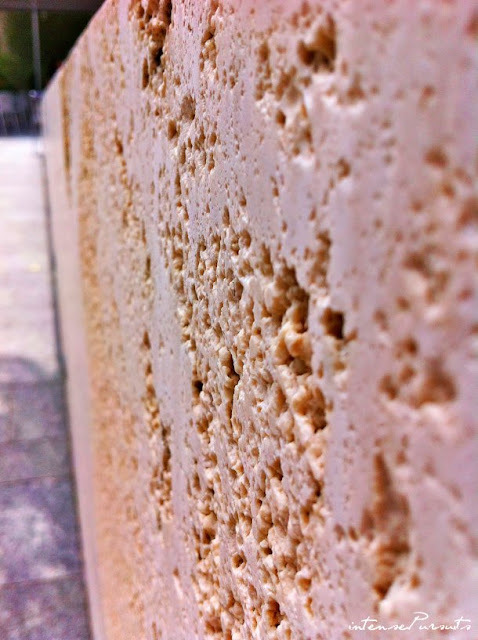 Beautiful cool Italian travertine warms my heart - such a perfect pick for Dallas climate. 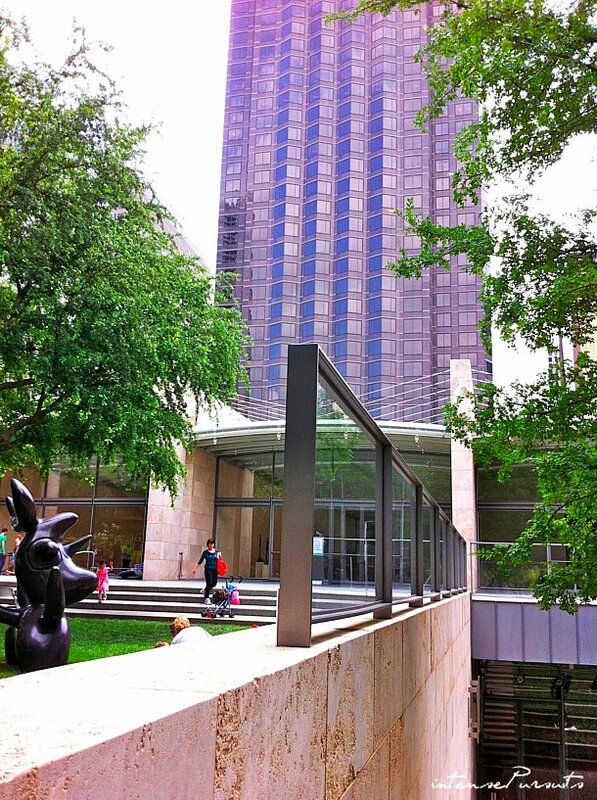 Another spectacular view of the Museum Tower - I am not fond of the layouts inside though. 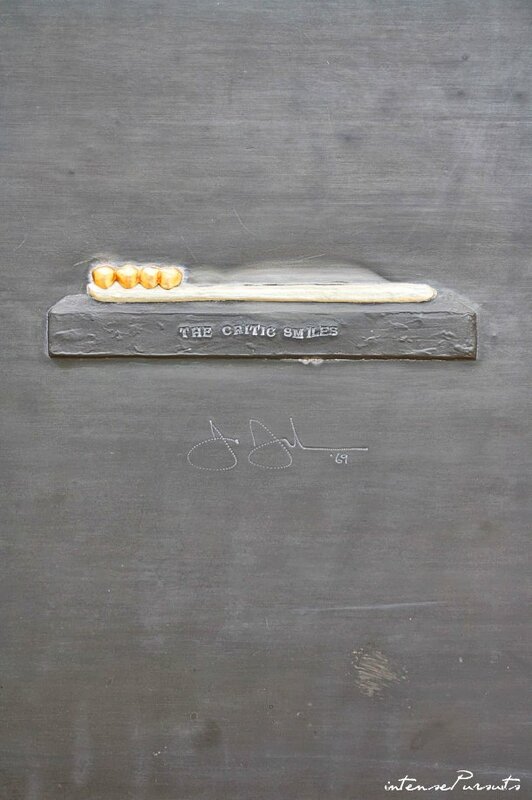 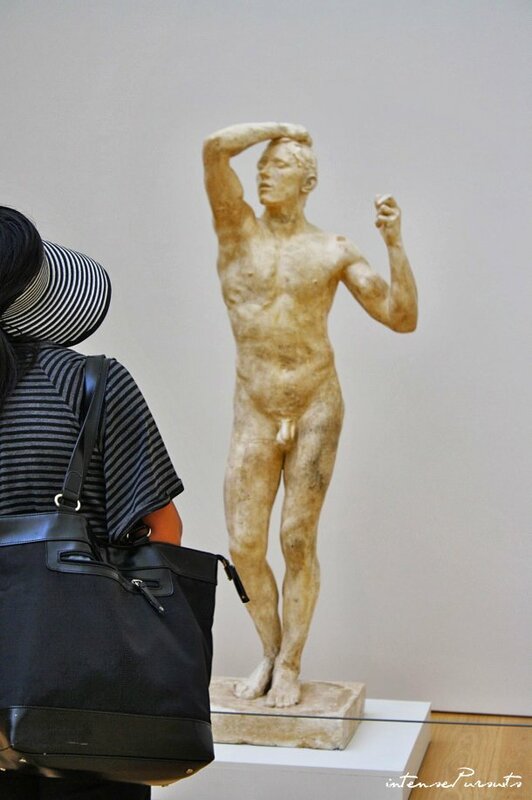 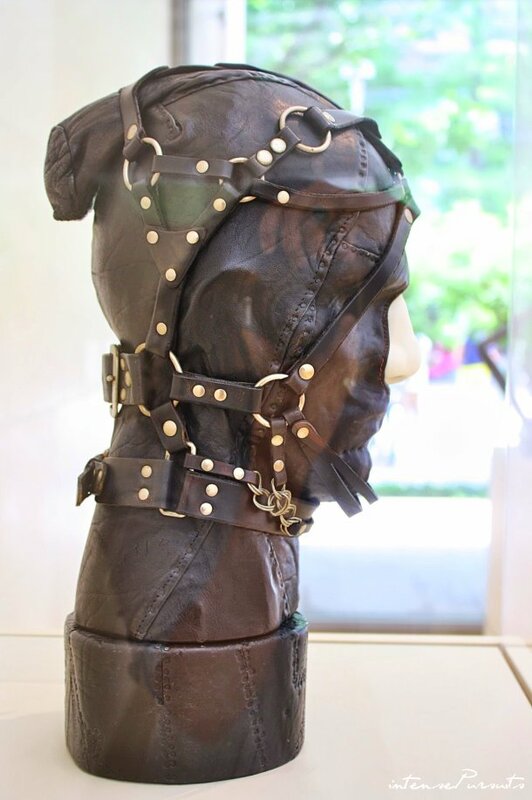 I like to look at art but I also love to watch people looking at art.